CLICK HERE to go to the July project poll! Set of Gorilla Glue adhesives. project party and prize package? 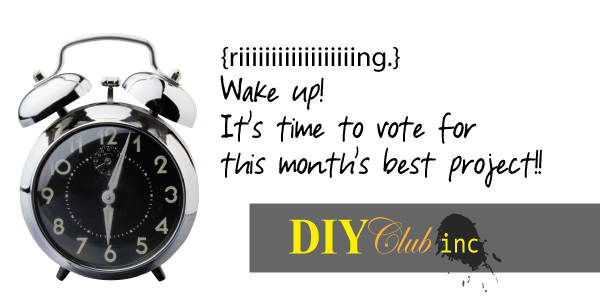 Visit DIYCLUBINC.COM for participation info! I voted and it was a hard decision. Such great projects!! Just wanted to stop by and whisper, "Thanks for including me in the Top 10." Following you now!